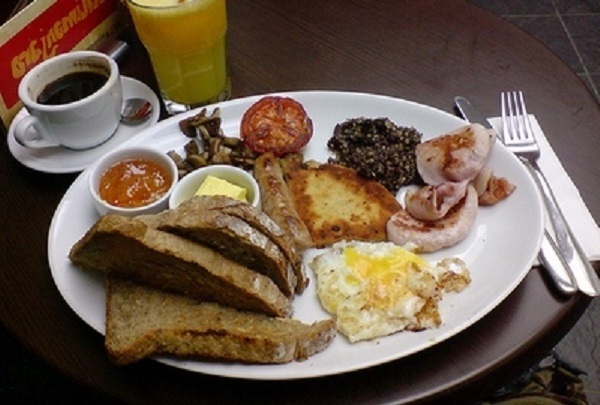 A hearty breakfast helps lose weight. Nutritionists have long been convinced of the benefits of breakfast. A recent study by Israeli scientists have shown that it is necessary not only for breakfast and lunch and calorically dense. This morning meal, not only helps to lose weight, but also helps to regulate pressure, protects against cardiovascular diseases and diabetes sphere. Professor at the University of Tel Aviv Daniel Jacobowitz conducted an experiment, which was attended by 93 overweight women. Scientists divide them into two groups and «planted» on the 3-month diet moderate in fat and carbohydrates. Total caloric intake was 1400 calories per day. In this case, one group used for breakfast of 700 calories for dinner — 500 calories, and 200 — for dinner. In the other group contained 200 calories breakfast, lunch — 500, and dinner — 700 calories. At the end of the experiment it was found that women in the first group dropped to 8 kilograms on average, whereas the representatives of the second group lost about 3 kilograms. Besides, in the first group was significantly decreased appetite hormone concentration. Thus, the study leader Daniel Jacobowitz advises to organize your diet to the main meal come just for breakfast. By the way, if you can not give up the sweet, eat sweets and cakes just for breakfast — Professor Jacobowitz sure that this does not lead to a significant increase in the sugar, insulin and cholesterol during the day.